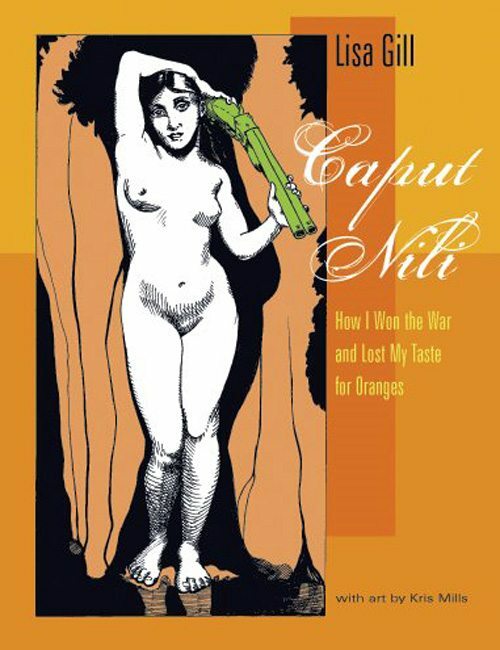 A hybrid of poetry, prose, and art, Caput Nili examines how a difficult diagnosis reveals a history of violence. Offering an absurdist perspective, Gill mitigates the severity of the subject matter with humor and intelligence. Lisa Gill is the recipient of an NEA Literature Fellowship and the author of two books of poetry: Red as a Lotus: Letters to a Dead Trappist and Mortar & Pestle. Her poetry and prose have been widely anthologized and awarded, including a Pushcart Prize nomination. This book is available by clicking here… or just click the book cover above. This entry was posted in Lisa Gill and tagged burning books, caput nili, Lisa Gill, Poetry by Monsieur K.. Bookmark the permalink.